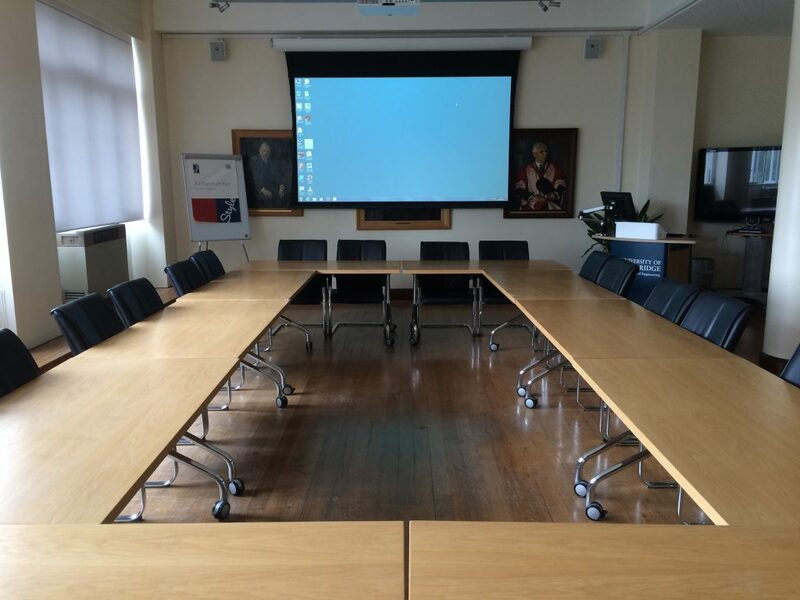 The Boardroom AV has been refurbished over August. The projector is now ceiling mounted and the screen automatically drops when the system is powered on. 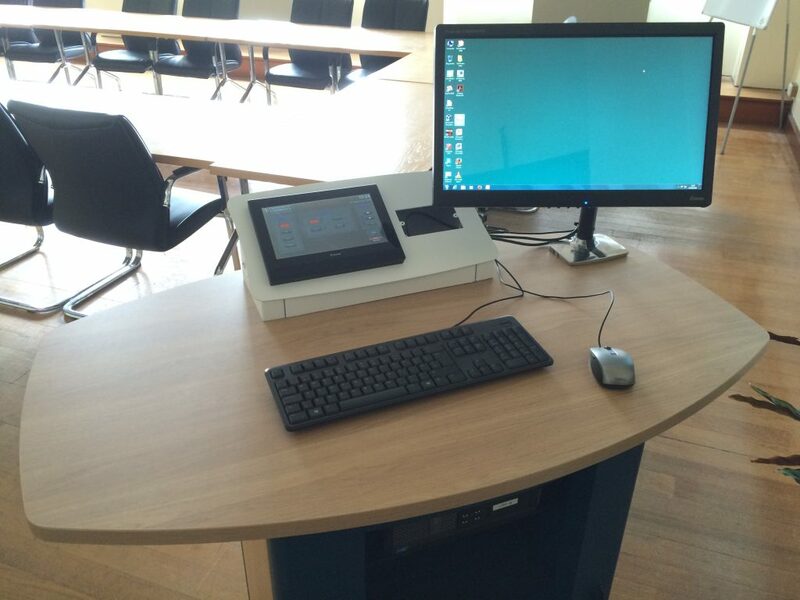 All AV equipment is housed in a secure lectern with local interactive monitor, laptop inputs and a touch screen control panel. There are also installed speakers for sound. 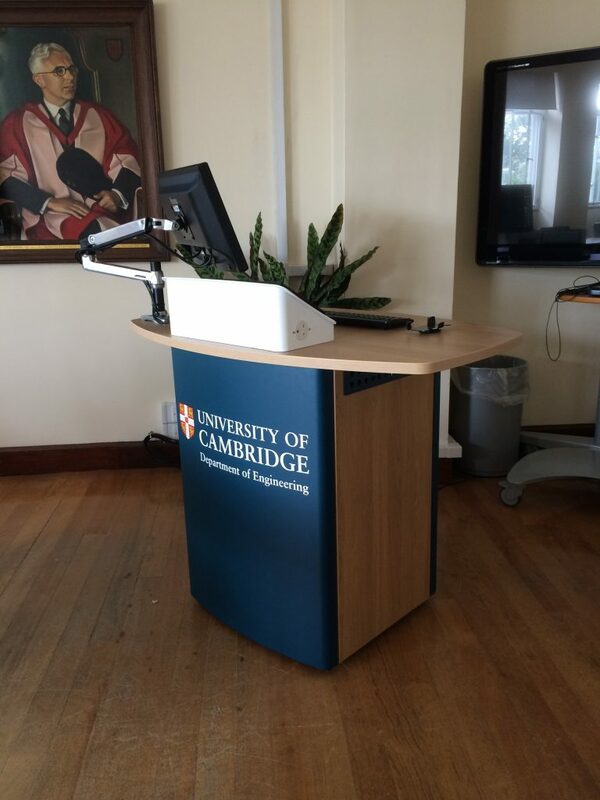 The use of the system is fairly intuitive but if you would like a run through of how it works, please contact Gavin or Adam on 32660 or av-support@eng.cam.ac.uk.